McNicholas High School has a wide range of interesting classes. However, as McNick is a smaller school, there are some classes that McNick simply can’t offer, whether because of money or student interest. The Milestone decided to survey the student body and create this top 10 list of classes students wished McNicholas had as a choice. AP chemistry would be an Advanced Placement version of the current Chemistry class McNick offers, presenting a more challenging than the current Chemistry course. It would also give students the opportunity to earn college-level credit. This class would have challenging labs and explore topics like atomic structure, intermolecular forces and boding, chemical reactions, kinetics, thermodynamics, and equilibrium. AP chemistry would be the perfect class for anyone wanting to go into any physical science career. Debate would be a tool for engaging students and improving their communication and argumentative skills. This class would focus more directly on interpersonal communication than the current Technology and Communication class. Debate skills are important in almost any career and would help students grasp critical thinking, presentation skills, and the ability to examine a controversial topic from all angles. This course used to be part of the elective choices each semester but due to low enrollment, it has not been offered for numerous years. Entrepreneurial skills would benefit students from any economical background, teaching students how to think ‘outside the box,’ centering around business skills, and pitching business ideas. Entrepreneurship would be helpful in teaching about taking opportunity, putting social justice into action, and building confidence. Astronomy would be a scientific class surrounding examination of the universe, its properties, and its motion. It would involve astronomical history, instruments, and stellar bodies. Astronomy would make science elective and would be great for any star lover. Although it wouldn’t have much real world use, it would make a fun class . Zoology would be another science elective, focusing on the study of animal life. Researching animals and examining their anatomy, physiology, genetics, and habitats would work for those who want a challenge but may not be interested in or qualify for the full anatomy and physiology course. The class would focus primarily on animals, going more depth than Biology. It would involve dissection and anyone who is squeamish may not enjoy the class, but Zoology would work for anyone interested in life science or animals. Fashion and retail merchandising would be designed to offer an overview of the fashion industry and prepare students for a wide range of careers in fashion. Fashion and retail merchandising would be not only helpful in fashion, but in business as well. Students could express creativity by making their own fashion lines and presenting them in class. Anyone who prefers hands-on learning might benefit from a woodworking course. Woodworking could be considered an art elective since it does require some artistic talent, and painting could be involved in the course. This course could be very beneficial to those who like to work with their hands. American Sign Language would be an additional language option, and a skill widely sought after by employers. As the world becomes more accepting of people with disabilities, this class would be another step in that direction. Teaching students how to use sign language would be a real world skill that has the potential to lead to other opportunities. A culinary arts elective could be very informative and enjoyable, great for teaching students how to cook or improving their current cooking skills. This class would be an expensive addition to McNick, considering that a room would have to be adequately furnished with appliances for cooking. There would also have to be enough budget for ingredients. On the other hand, cooking is a necessary and an important life skill and like woodworking, it may be worth the cost to reintroduce classes like this. Home economics was the potential class that earned the most interest from students, likely because its potential ranges from cooking to home maintenance. In the past Home Economics has typically been considered a feminine course, but this course would be helpful to everyone. People cannot survive on frozen waffles alone, so cooking, sewing, and other domestic skills are important in the real world, especially since Mom won’t always be there to clean and do laundry. This class could also cover how to pay taxes, bills, and other important requirements of living, making it an essential class for all students regardless of gender. There were a number of classes that didn’t quite make the top ten list that still received great interest from students, such as theoretical physics, religious electives, Russian, German, and driver’s education. A theoretical physics course could extend from the AP Physics course and would focus on the origins, purpose, and state of the universe. Religious electives would include multiple classes that would allow students to explore other religions and ways to know God. Russian and German language courses could also be effective, as they are the first and second most used languages in Europe, respectively, according to a 2014 One-Europe article. Driver’s Ed would assist students in earning their license, a nearly required benchmark in modern society. While these courses would be great additions to McNick, many would get expensive quickly, and McNick simply doesn’t have available teachers to support them. The school building also isn’t well-equipped to support many, like culinary arts and woodworking. 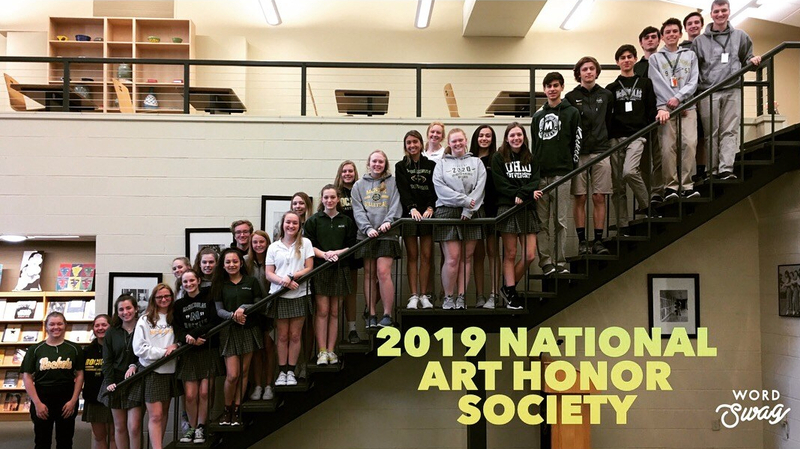 Maybe someday McNick will be able to offer an even larger variety of classes to students, but for now, students should be grateful for the wide range of class opportunities they already have. While McNicholas offers a wide variety of classes, some students would like to see more courses added to the curriculum. In a survey conducted by the McNicholas Milestone, students reported that they would most like to see a Home Economics course join the class roster.